The purposeful, active Dog makes every effort to achieve its goals. If you like it and are willing to forget about vacations, rests, and weekends, if you are ready to work intensively and develop professionally, the year of the Dog is your year. You certainly will succeed, because the Dog protects those who work honestly, benefiting not only themselves but also others. It is not difficult to guess what is fashionable in the year of the Dog. The priority is a business style that predominates both in clothes and in makeup. With the help of various techniques, designers offer to transform the office suit into an evening outfit, which is quite convenient for those who work after work. Corporate events or informal meetings with partners are great ways to make new contacts and strengthen existing ones while discussing important issues in a relaxed atmosphere. Restraint is a major fashion trend in the year of the Dog. However, don't confuse restraint with sadness and boredom. Soft femininity is welcome in sly, playful doses such as long, fluffy eyelashes, flirty lips, or a faint blush on the cheeks. The Dog is nice and good, an element that is reflected in this fashionable makeup style. One or two expressive details will emphasize your individuality and bring a touch of freshness to the proven and familiar classical image. Strict classics are also able to surprise, and the makeup for the year of the Dog proves it. In 2006, which was the year of the Red (Fire) Dog according to the eastern calendar, leading manufacturers of cosmetics released hit after hit. Buyers had only to choose and feel like the real stars from the Hollywood red carpet. The wealth of choice among lipstick hits the imagination because the element of Fire is all shades of red. 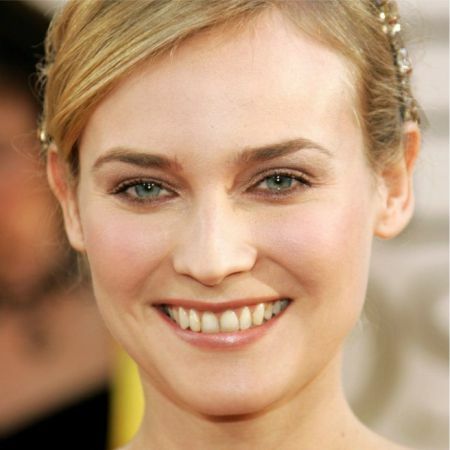 Natural makeup was also one of the main trends in 2006. Makeup artists offered some variety in it, to add a piquant highlight. Fire is the element of the unpredictable and impulsive; however, sending the energy in the right direction, we can achieve great results. The Earth element favors practical beginnings, encourages entrepreneurship, economic activity, the pursuit of useful initiatives, and creative activities. In the 2018 year of the Yellow (Earth) Dog business makeup will be very popular. The trendy colors are brown and beige, as well as a lemon-yellow color for special occasions. By cleverly combining either of these with green, blue, or turquoise, you can create unusual, futuristic images that seem to come from the distant future. Well, the future has always interested people - so why not to bring it a bit closer today? And, if we are talking about the future let us look further down, in the distant year of 2030. Makeup of the future will not be made up of just new cosmetic products and their ingredients. They also include bold and unusual (from today's point of view) makeup techniques. Makeup during the 2030 year of the White (Metal) Dog will allow girls to shine like jewels as cosmetics with a "metallic" effect will be trendy. What exactly do you prefer: whether it’s gold, silver, or bronze, it's up to you to decide. Choose what fits you and what you feel is right. Makeup for the year of the White Dog allows for a good number of expressions so you can be what you want to be. Develop your skills, underline your natural dignity, and follow your goals as steadily and persistently as the White Dog! 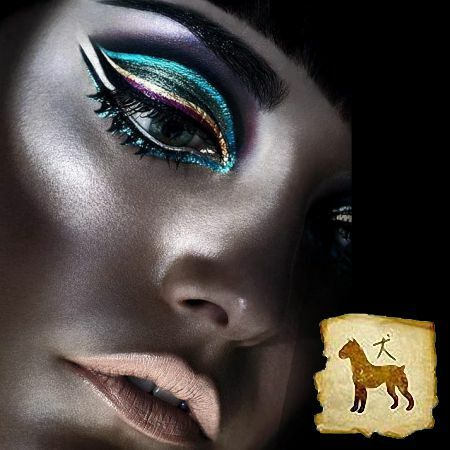 Like the article «Year of the Dog Makeup for Business Ladies»? Share it with friends!